2564-RBMPU-DST is rated 4.3 out of 5 by 16. 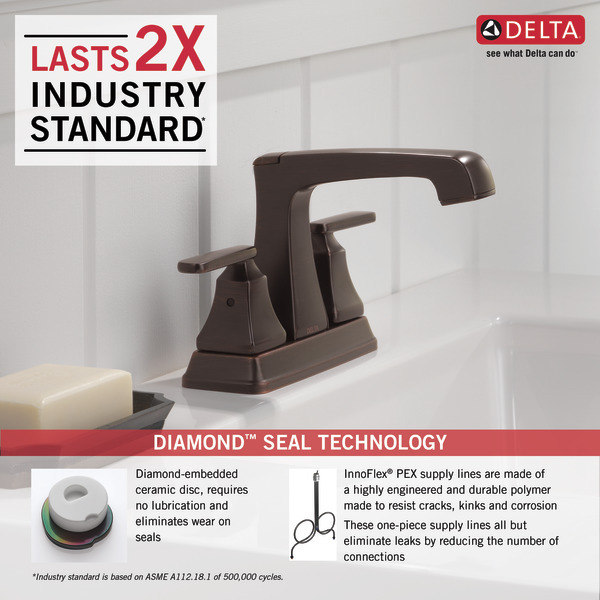 Rated 5 out of 5 by Rombo from Great faucet great price Deltas faucet have been some of the favorites I have installed over the years. Their design helps ease of use for both kids and the elderly. Their finishes last forever. Just a great product. Rated 5 out of 5 by Shamrock from Very good Was as described. Looks good and works great. Rated 5 out of 5 by Love to remodel from Beautiful faucets. They have not been installed yet but they will be perfect in my white/brown wood tone bath room. Rated 5 out of 5 by Blingmomma from Beautiful addition Sleek stylish and beautiful addition to any bathroom. Rated 5 out of 5 by Anna from Amazing faucet!!! I really recommend for every bathroom. 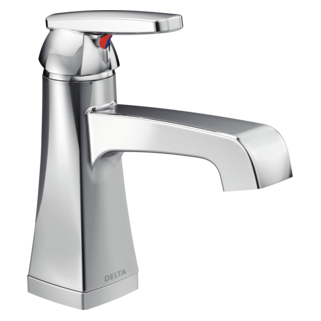 Rated 5 out of 5 by Dave from Meets expectations The faucet was quick and easy to install and appears to be of good quality. I anticipate buying more Ashlyn Collection products from Delta in the future. 64-TP-DST without excusion plate.I am not sure which one I need or will work.Can I find the measurements on them?I will be ordering on line so really can,t look to see how they will fit. Thank You PS also looking at dual function head&amp;hand held shower package. 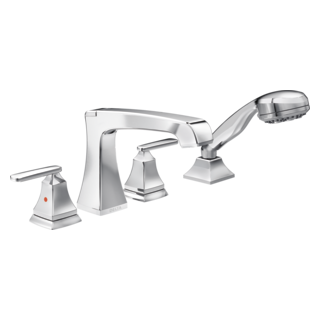 what is the height of the faucet? 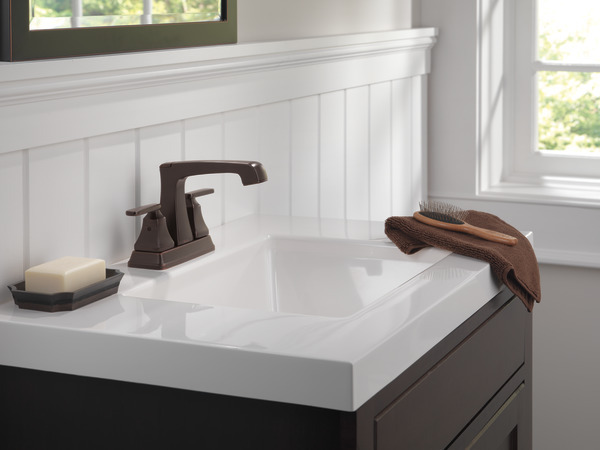 I have a low clearance area for a bathroom faucet and am wondering what the height of this model is from base to the top of the faucet? Can you install a water filter under the cold water handle? 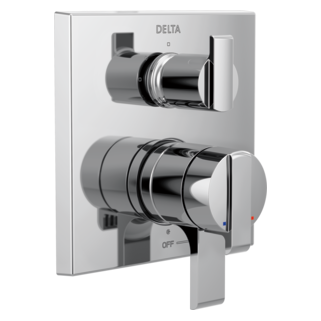 Does this faucet come with hot and cold indicators? 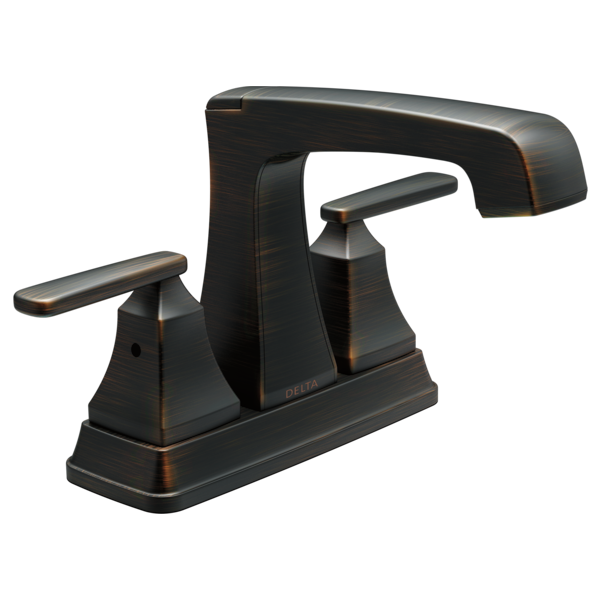 I am looking for low-flow aerator for this &quot;Ashlyn Two-Handle Centerset Bathroom Faucet Stainless Steel&quot; faucet. Can you help me with a part number or something so that i could locate it? Can this faucet be installed without the baseplate? 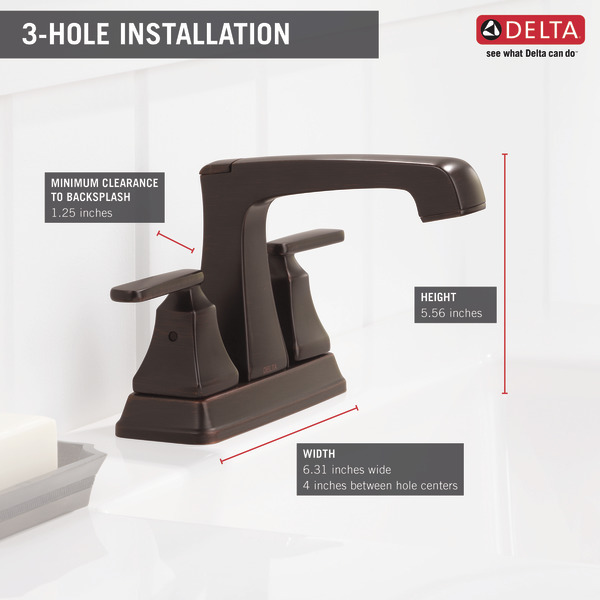 We have a 3 hole sink and would like to install the spout and handles directly on the sink surface without the baseplate. Can we do this and if so are all the parts we would need to do this included?